When communicating with donors, focus on what they want to hear from you. Resist the temptation to include everything that you have done recently. Resist the temptation to focus solely on the importance of your cause. Write from the reader’s point of view. 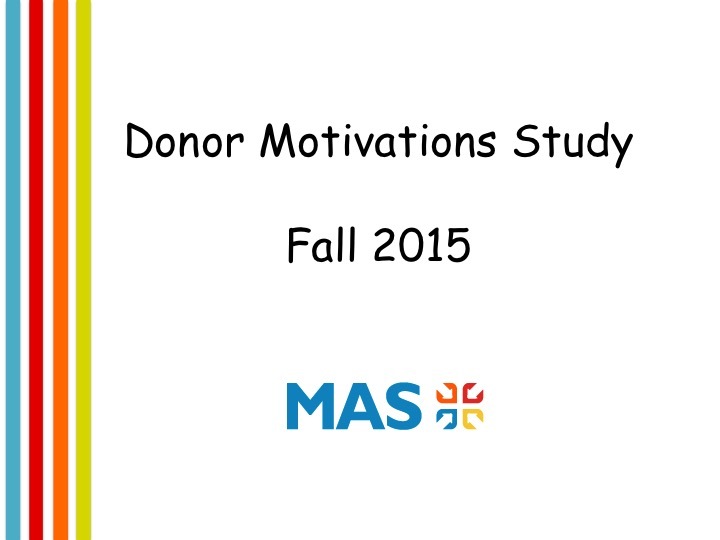 What do donors want to hear?? Here are the results from 2 research surveys. One from Canada and one from the US. The results are very similar. Decide which key points support each claim and add into the Brand Checklist. For better or worse, the overhead ratio is still the #1 piece of information donors are looking for. Be specific. How many families received furniture for their new apartment? Or how many acres of land were protected from development? Will it go towards overhead? Will you buy a new truck so you can improve your turnaround time for deliveries? Will you start a skill development program to help youth-at-risk get job experience. For your information, here are the rankings that donors gave to all types of information. Be cautious when considering compelling stories about your cause (size of the challenge) or any celebrity endorsements you have. They may not resonate with donors when compared to factual information about your efficiency. Consider these Importance Scores when you are composing letters to donors.